In January, NetherRealm Studios held an event showcasing the gameplay of Mortal Kombat 11 for the very first time. 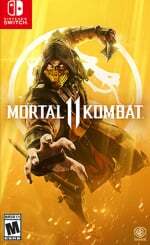 During this, it was revealed a special Kombat Kast would take place on 30th January, sharing more information about the characters and content coming to the game. Kano first appeared in the original Mortal Kombat and is the token Australian fighter. He's particularly skilled with a knife. Other characters such as Kabal have also been teased and if you pre-order any version of MK11, you'll receive Shao Kahn as a bonus character. We're sure we'll get more character reveals on 5th February. Is this a character you were expecting to see return to the latest Mortal Kombat outing? Tell us below. Now our friends in Australia have something to get exited about besides getting out of the record breaking heat. @mazzel He was playable in MK7 (Armageddon), MK8 (not-Armageddon), MK9 (after Armageddon), and MKX (many years from Armageddon). The only games he's missing was MKII, MK4, and MK Deception. My favorite Mortal Kombat fighter lol. Great news, one of my favorites. Now we just need Reptile officially confirmed. Shouldn't the article's tagline say, "that's not a knife, this is a knife"? @Elvie That's not what they meant, that's what they meant. It doesn't make sense but it makes sense. Hoping Nitara returns to Kombat. Congratulations on actually getting the movie quote right. @KryptoniteKrunch Reptile was confirmed about 2 weeks ago. Hahaha Shao Khan is a pre-order bonus. One of the main characters and he's download and you have to preorder. Such rubbish. Maybe this time next year it'll have almost as many characters as mk9 komplete! I see you’ve played knifey spooky before! Love the Crocodile Dundee reference in the sub-heading. Why is the VB missing from his left hand? Laaaaame. 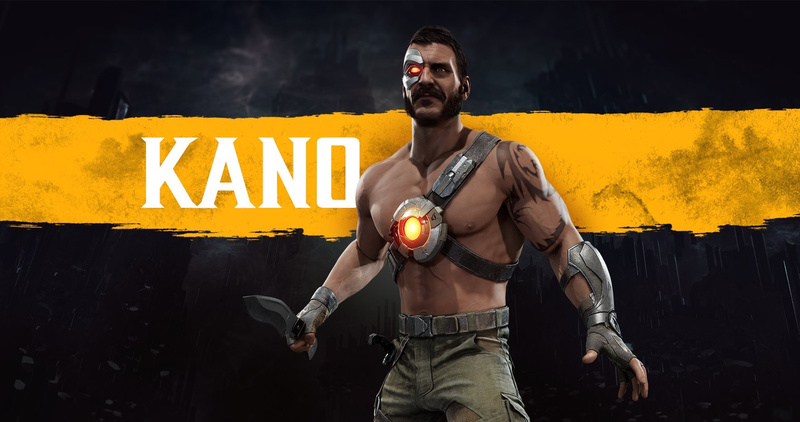 Kano desperately needs to be cut, he's probably the single most tired and played-out character they have and one of the least interesting to play as. He was seen before in the menu graphics, and in the background of a stage. At least he's now official. I think, apart from the official reveals, Rain, Noob Saibot, Johnny Cage, Cassie Cage, Kronika, Reptile, Liu Kang, Kung Lao, Kitana, and Kabal have been discovered. Shinnok was seen in a cutscene, but it's unsure if he'll be playable. Shang Tsung is rumoured. @KryptoniteKrunch I thought Reptile was already confirmed? Nice. Looking forward to MK11. I'll get this game day 1, hopefully alongside Shao Kahn! Mortal Tuesday is not close enough! If I recall correctly, originally Kano wasn’t mentioned to be Australian, but in the movie it was played by an Australian actor who did such a good job that they kept his nationality as canon. Just a little bit of trivia. He looks like the live action kano from the first MK movie...his design doesn't look quite as realistic as the others. Yeesh I haven't played a mortal kombat game since deadly alliance or whatever it was back on the GameCube...which I didn't really enjoy too much. Now is timeeee to jump back in with Mk11.